If you want to have in your power a tool to attract good luck to you or to be protected against bad energy, it is necessary for you to know how to make your own amulet. Making it is quite easy as an amulet can be any piece that you want. What is important with it is the objective that you want to give them and the rite you make when making them. How can you make a talisman? 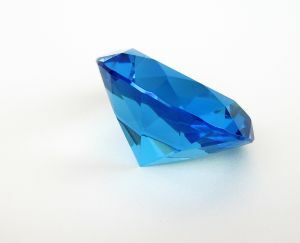 To start with it, you need to clean the stone or the gem from bad energies that they can contain. To do so, you need to wash it with a mixture of water and marine salt. Now that you have cleaned your gem or stone, you need to put this in your hand to feel the peace that this gives. If you do not feel peace at this point, it is better for you to look for another piece that it can be better used as an amulet. When you have done all this, you need to clean yourself completely. To do so, you need to bath and change all your clothes. It is recommended to make the amulet when the moon is growing to fill it with good energy. Then, you have to go to an empty room and put the stone in an altar and say the prayer for protection and luck. Look all the time to the stone and then leave it all night under the light of the stars. Finally, the next day, what you need to do is to take your talisman and put it in a small cloth bag. Now, you can take it everywhere you go.